Clyde Muirshiel Walking Festival 2019. The first Walking Festival took place in 2018. Join us on Saturday 25th May to Monday 27th May for the 2019 Clyde Muirshiel Walking Festival. Following on from the first Clyde Muirshiel Walking Festival in 2018, 2019’s event aims to cater again for everyone, from the leisurely paced stroll to the more serious hill walker. There will be guided walks planned for each day at each ability level, led by Clyde Muirshiel Rangers and associated other walking groups and networks. 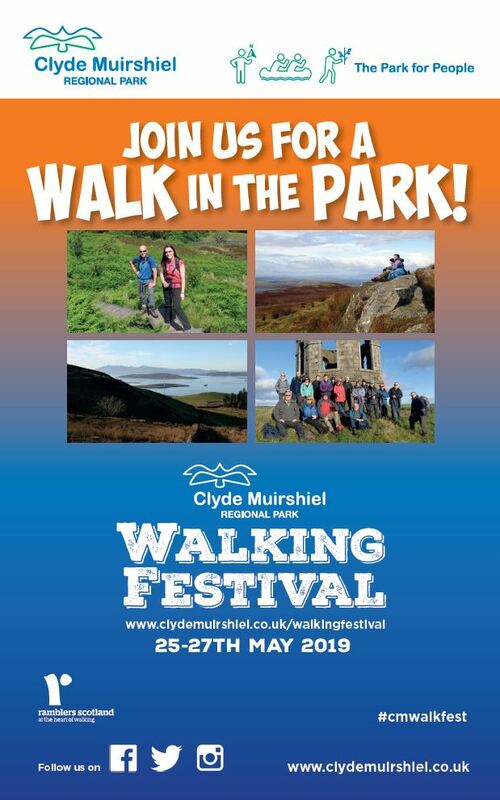 Walks will start from various locations around the Clyde Muirshiel Regional Park. We can’t think of a better way to spend the long weekend!